A five-year-old boy died after he was accidentally run over by a sports utility vehicle (SUV) as he was playing along the side of a road in Cortes town on Wednesday afternoon. 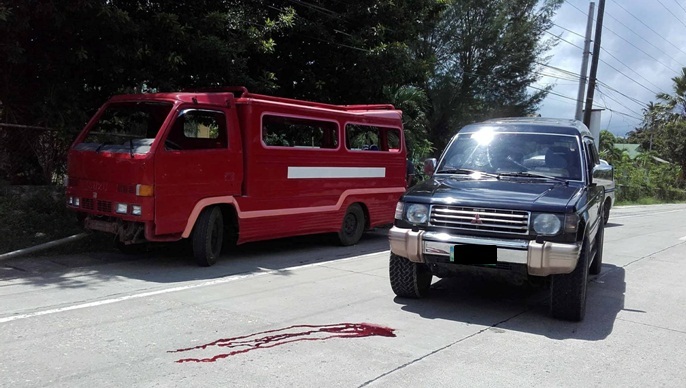 The victim, Willy (not his real name) of Barangay Salvador in Cortes, was still rushed to a hospital and given emergency medical care but later succumbed to his injuries at 5 p.m. on the same day. According to PO3 Joel Orapa of the Cortes Police Station, Willy failed to notice that he was already running along the national road while he was playing with his friends. A witness told police that while the victim was playing, a Mitsibushi Pajero slammed straight into the child as the driver of the said vehicle was apparently caught off guard. Police identified the driver as Guillermo Espejo, a resident of Carmen town. Espejo however was not detained after he and the victim’s family reached an amicable settlement.